Add grace and style to your sanctuary with these oversized church chairs from KFI. 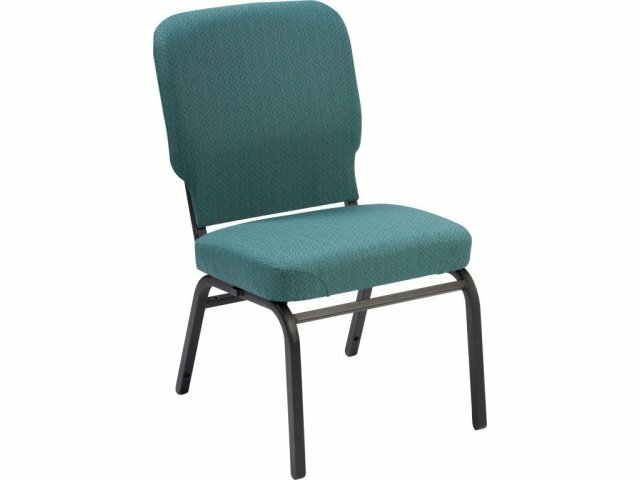 Spacious seats, extra-thick padding and super-durability make these chairs a first-class choice for any congregation. 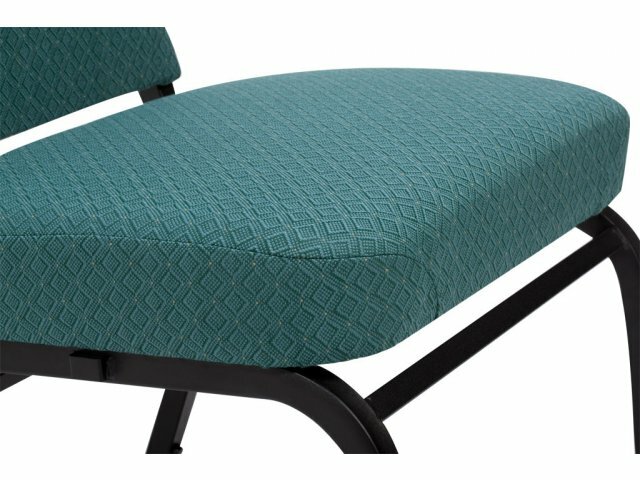 These church chairs feature a generously-sized seat and 3.5-inch thick seat padding for an unusually comfortable and roomy feel. They have been weight-tested for a super-capacity of 500 pounds, with additional support provided by the under-seat stretcher bar. 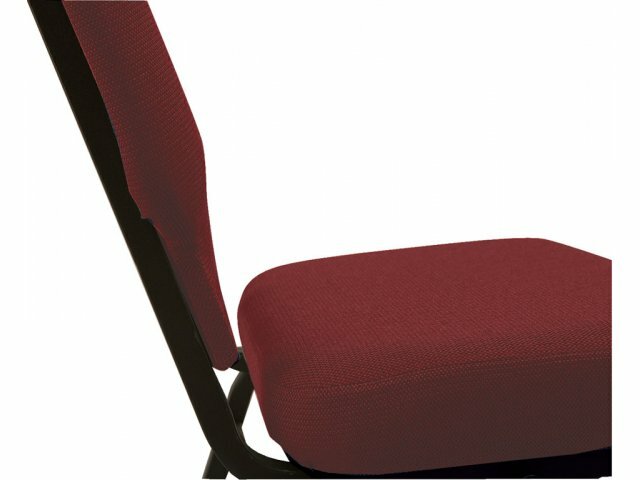 Ergonomic lumbar support helps prevent knee and back pain, allowing congregants to sit comfortably throughout services. Built-in connecting devices let you fix pews in any formation you like and then chairs can be easily stacked and moved as needed. 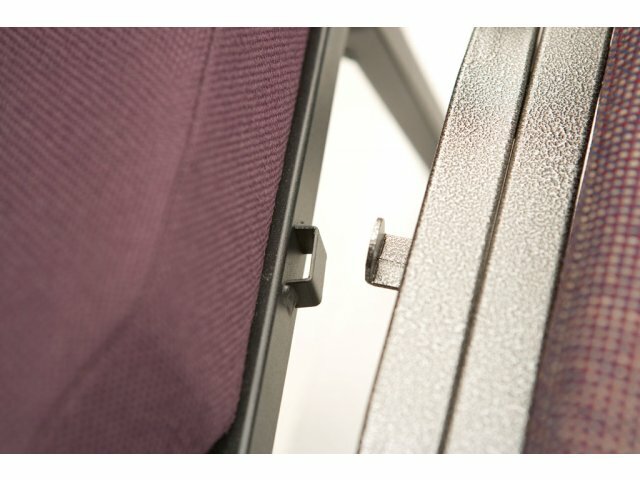 Stacking bumpers and floor glides protect chairs and floors and prevent scratching. Available in a beautiful choice of upholsteries and fabrics, these oversized church chairs will beautify your sanctuary and enhance your congregants' worshipping experience. 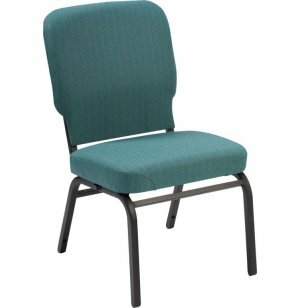 Generous Seat: Generous seat size of 21" width and 15" depth makes these church chairs extra roomy and comfortable. Thick Padding: Thick and comfy, 3.5 -inch seat padding provides a luxurious feel. Super Strong: One-inch, 18-gauge built-to-last steel frames feature under-the-seat stretcher bars for added strength and durability. Extra Weight Capacity: These chairs passed the test for a 500-pound weight capacity. Ergonomic Comfort: Built-in lumbar support help prevent knee and back pain that often result from sitting for long periods of time. No-Scratch Stacking: Stacking bumpers let you stack chairs 4-5 high, with no scratching. Built-in Ganging: Permanent ganging device lets you connect the chairs and create permanent pews in any formation you wish.